The museum immediately began with exhibitions of mostly critic and experimental nature, because the need had arisen. The museum does not have a permanent location, but by 2013, when the renovation of the ex- FIX factory will be completed in order to be the museum’s permanent location, there will be a decent collection of works of art of Greek and international artists, showcasing innovative tendencies and critic research of the artistic present, but also its historic depth, reaching the 2nd half of the 20th century. 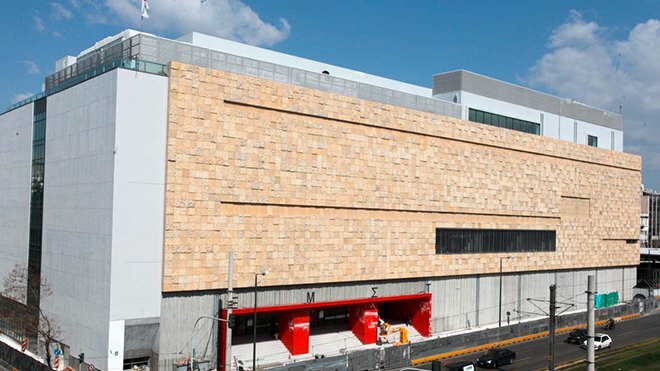 The main objective of the cultural politics of the NMMA is to create and expand permanent exhibitions. The means for the acquisition of works of art to create those permanent exhibitions, are purchases, and especially offers of works of art. 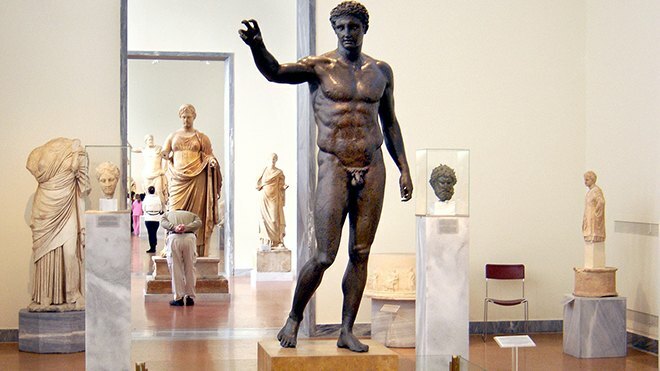 Under the training politics of the NMMA, training programs for students and families, children’s workshops, tours and teacher’s seminars take place, in order to aid to the discovery and familiarization of people of all ages to the modern greek and international art. Series of temporary exhibitions with an inquisitive eye are presented around the themes, concerns and searches of the modern international art, individual works under the Museum’s order, monographic recursions to the middle of the career of modern artists and historic recursions in the fields of painting, constructions, photography, video, new media and «experimental» architecture. The beach of Agia Roumeli with the white pebbles expands on the edge of the village which goes by the same name, on the exit of the Canyon of Samaria.-On the other hand, if you are looking for something more isolated, follow the E4 path east for 30 minutes up until you reach Agios Pavlos. The port of Spinalonga is situated on the northwest side of the gulf of Mirabello. On the entrance of the port, close to the Spinalonga peninsula, is where the skerry of the same name is located, entirely surrounded by a fort. The Archaeological Museum Sitia began operating in 1984, one hundred years after the first excavations of the Italian Archaeological School. Largest and richest whole antiquities is considered to be the palace of Zakros were built with many and great findings, some of which are masterpieces of Minoan art.